SMPT2GO looks after all your email service requirements from sending emails to tracking it till it reaches the recipient. It has a redundant, multi data center that makes sure that your emails are sent even when there is a major internet outage. It also immediately alerts you about any potential problem existing in your account so that you can sort it out before it hampers any of your business activities. 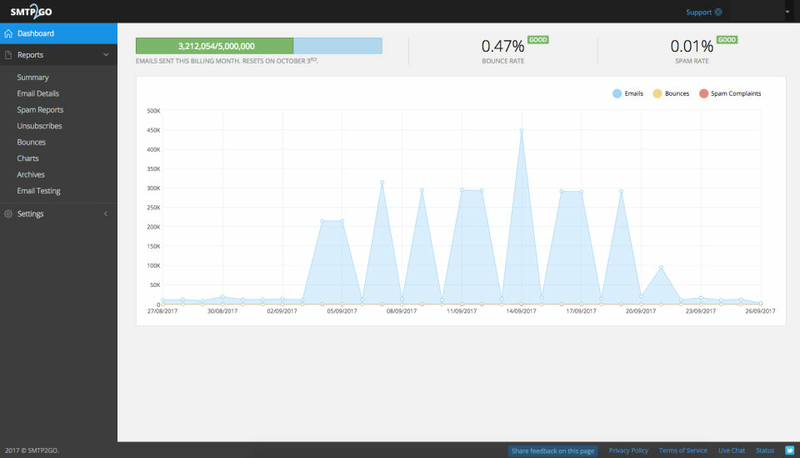 With SMTP2GO, get a visualized report of all of your sent emails, bounced emails, spam complaints, unsubscribe requests, etc. It even takes care of the various technical aspects pertaining to email delivery, so that you are always updated and on top of your game. How much does SMTP2GO cost ? 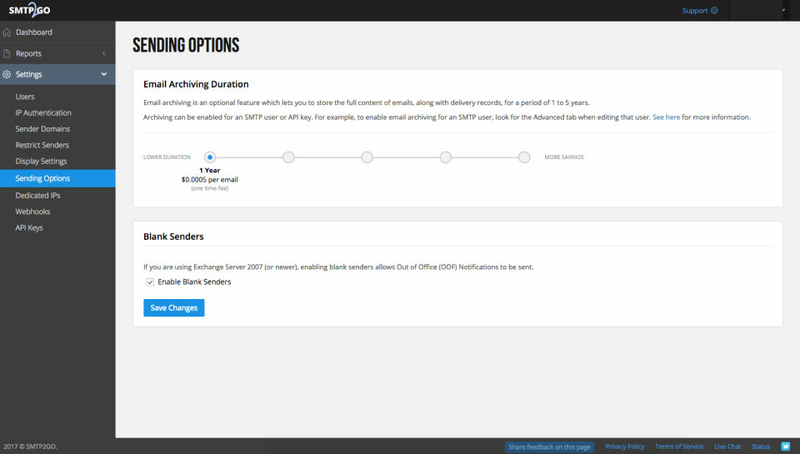 The pricing for SMTP2GO starts at $14.0 per month. 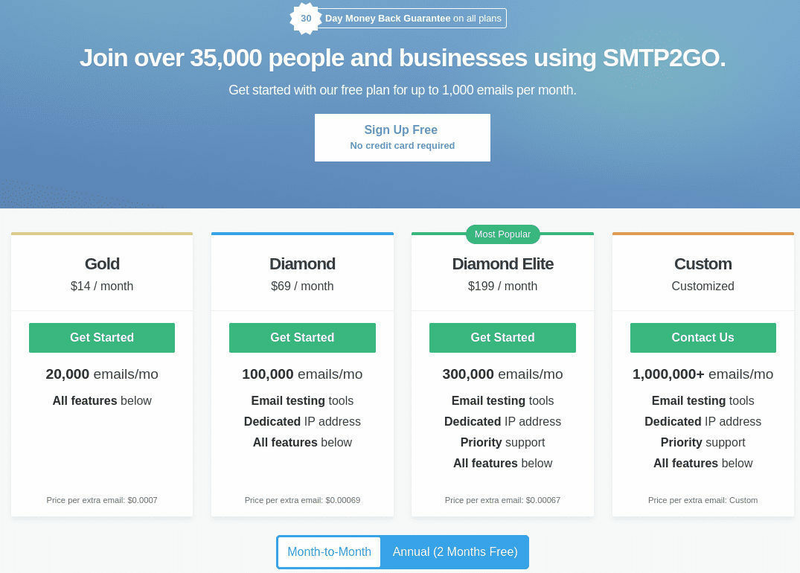 SMTP2GO has 4 different plans such as - Gold at $14.0 per month, Diamond at $69.0 per month, Diamond Elite at $199.0 per month and Custom at $199.0. Pros: We were really struggling running emails through our server. 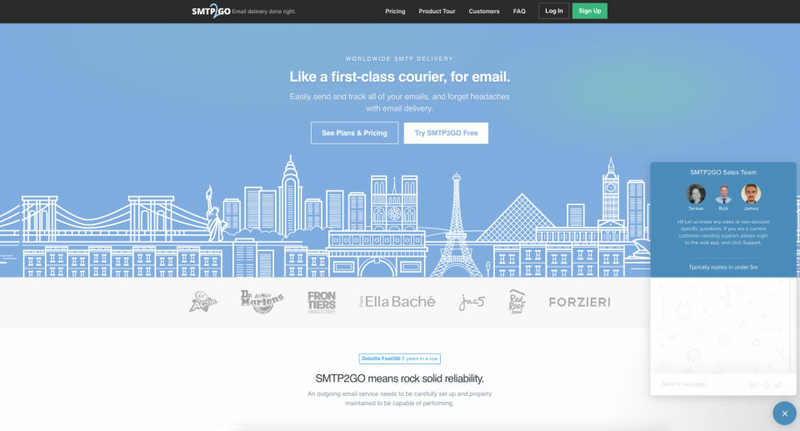 Since running our emails through SMTP2GO we can guarantee deliverability to all clients. It's really helped us! Cons: Everything was super easy to use and setup. These things are always going to be a bit tricky to setup but SMTP2GO made everything simple. Pros: The fact that my email is delivered reliably, while I don't have to worry about maintaining the reputation of my outgoing email server. Cons: I don't really have any least liked things; the product just works once set up properly. Overall: I started using SMTP2GO when my ISP's shared server I use to host my website wasn't getting emails through to the users. It turned out that the server appeared on various blacklists and it's reputation was not being maintained by the ISP. I switched to SMTP2GO and have never looked back. Emails are delivered reliably and with ease, and the comprehensive reporting allows me to troubleshoot in the event that email isn't delivered for some reason. Pros: It's very easy to setup, the prices are good, even for small businesses like ours. and with the API and the Webhooks, it's easy to get notified if something goes wrong. Cons: Sometimes it's a little slow, but this does not happen too often. Overall: We send out Businessmail and invoices from our Intranet through SMTP2GO and it's very reliable. Also our network devices use it to send notification mail. Pros: The dashboard lets me see everything I need on the first screen with no need to search a sitemap. Cons: The cost is high for my organization but I don't know if there are better rates in the market for this level of service. Overall: I have always received excellent support when needed. Pros: Very easy to use, and makes setting up our customers "Scan to Email" functionality a breeze on many different brands of multi funtion printer. Overall: Very easy to set up, and runs seemlessly in the background. Have recommended this service to several other copier dealers and I.T professionals. Pros: We use SMTP2GO as a solution to a bad internet connection. Because of our industry, we need to host our own email servers. However people trying to email us often ended up getting bounces and undeliverables while our internet was down or flakey. The solution is to relay our email through SMTP2GO. They accept our email and hold it for delivery when we're back up and ready to receive. Cons: I really don't have any complaints to be honest. Overall: Everything is great with SMTP2GO. Pros: SMTP2GO is an inexpensive way to ensure that email gets delivered as intended without many of the problems that other providers encounter. 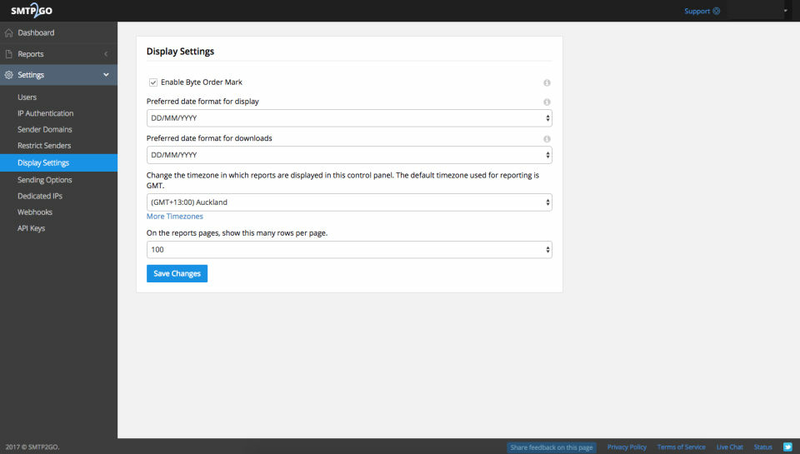 If you need to track your traffic, that is available and useful. Cons: Nothing to report that comes to mind. My needs are relatively simple; reliability and consistency. Pros: Allowed us to dump a dedicated mail server for all our website traffic and save a lot of grief. API is useful for doing some bespoke reporting for clients and individual limits allow us to manage how clients use our resources. When you call they answer and have a sensible conversation not just reading from a script. Cons: We have to pay for it, only joking. Would like to filter reports by more criteria, more closely related to our clients rather than email processing criteria. 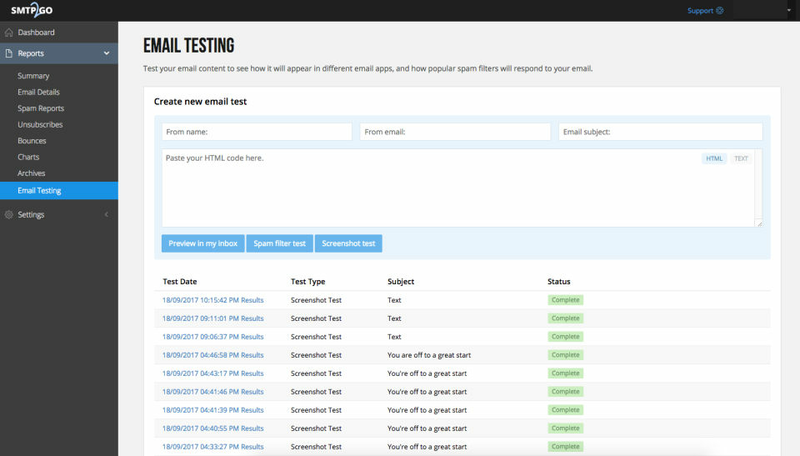 Overall: Makes managing the email output from our clients websites simple and secure. Pros: Is simple to use and have good smtp server. Never one mail into spam. Cons: For now nothing, all works pretty good.